It felt a bit like Christmas morning when this huge package arrived in the mail this week…for some reason, I felt so nervous to open it! I love seeing the book in its actual size – a gorgeous 8×10” trim (I fought hard for this large trim size!) with 100 of my most-loved photographs and recipes. Line by line, I’m going through the entire book with a fine tooth comb marking any last minute edits in red ink. Hopefully by page 300 I can still see straight! Maybe an IV of caffeine would help? Thank you again for supporting me throughout this journey. I never thought I’d be here, that is for sure. As many of you know, it’s also Thanksgiving weekend here in Canada. Big work assignments love to fall around holidays, don’t they? I had high hopes of sharing a couple Thanksgiving recipes for you this week, but I’m afraid they are not quite ready to share. I did a trial of this stew yesterday and was hoping to finalize the recipe this morning after a second trial, but I haven’t nailed the gravy broth yet. The first trial was too bland and the second one, well, let’s just say I overcompensated a bit. I guess you know what I’ll be eating for the next week. It will just have to wait a bit longer. In the meantime, I’ve put together a round-up of some of my favourite Thanksgiving recipes from my archives and from some of my favourite blogs! As always, no turkey is required to enjoy one helluva good holiday meal. To my fellow Canadians, I wish you all a lovely Thanksgiving! Baked Doughnuts for Everyone Giveaway Winner! I am so so excited about your cookbook! It looks GORGEOUS! I cannot wait for it!! Happy Thanksgiving to you! I will likely be making at least 1 of your yummy recipes this year! (if not more)!! I already preordered your cookbook on Amazon.. can’t wait to have it in my hands! Will definitely be grabbing a copy (or two or three) for my parents and other relatives! Happy Thanksgiving and I hope you get some restful time with family and friends. I’m so excited to see a glimpse of your cookbook!!! I am so happy for you and I cannot wait to see the final product. It is going to be a hit — I just know it. :) You’re an amazing cook and photographer. Not to mention just an overall nice and good person. Hugs! Congratulations Angela! I couldn’t be happier for you, and the fact that the cookbook is coming along so beautifully; I cannot wait to own a copy. On another note, Happy Thanksgiving to you and yours for all 365 days and a day. Looking forward to what will be the third year making the Lentil Walnut Loaf alongside the Pumpkin Butter, Fluffy Dinner Rolls, and Brownie Pumpkin Pie. Heck, I may just even make the Cranberry Apricot and Pecan Wild Rice Pilaf (considering the time I may have). Angela, thank you again for your devoted time, dedication, and love of food that you share with us all. Bright Blessing on your journey. How exciting!!! Can’t wait for your cookbook. I love the owl mug too btw. I’ve been looking for one in Toronto but no luck yet! Hey Joanna, Did you check West Elm in Toronto? That’s where I got mine. Hope they still have them! 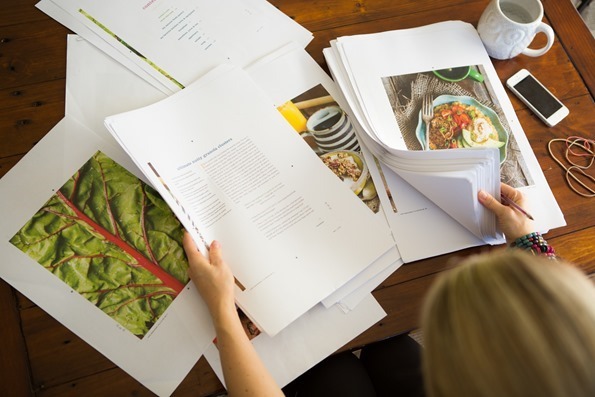 It’s really excited to see your cookbook in the works! Wow, lots of hard work! Good luck with this next stage. Happy Thanksgiving this weekend, we’re celebrating with my family in Nova Scotia. I can’t imagine how exciting it is to see on paper! The sneak photos look gorgeous! Happy thanksgiving to you, too! I can’t believe it’s already here. By the way, your pumpkin gingerbread is my husband’s all time favourite dessert. I just made it in September for his birthday but will be making it again this weekend! Happy Thanksgiving Angela! I hope you take some time to relax, it’s going to be gorgeous out tomorrow! I’m extremely excited for your cookbook. I may need to book a week off work just to try out all the new recipes! Editing my Master’s thesis was also a huge pain. After spending hundreds of hours writing it, it was easy to miss a few typos. I found that reading it out loud made finding mistakes a lot easier. Now my husband does that too. I cannot wait until that cookbook comes out in print! I will be first in line to get it. Hope you have a Happy Canadian Thanksgiving! The bird’s eye sneak peak looks great… can’t wait to pick it up off a shelf in bookstore! Good luck with the editing & Happy Thanksgiving! I can’t imagine how surreal it must be to see your work in print like that! Cannot wait to pick a copy up! Congratulations! I am so excited for you…and for me because I am looking forward to having a copy of my very own! Have a wonderful Thanksgiving!! Thank you for all of these amazing recipe ideas. Happy Thanksgiving! Yay, I’m so happy that you made a post like this way in advance before Thanksgiving (in the US, anyways)! As dorky as it sounds I was sitting in bed the other night (couldn’t fall asleep) thinking about what vegan dishes I could make to bring to this year’s family gathering. Now, I have a bunch to choose from and a lot of time to gather up the ingredients :) I look forward to that stew recipe once you have perfected it. As for your cookbook, hurray! I’m so excited just looking at those few pages — it looks beautiful. Congratulations! Your creativity is an inspiration and I can’t wait to get the book! Thank you guys for your lovely words! This is an awesome list. I’m having my first vegetarian Thanksgiving this year so I’ll be sure to make some of these. Thank you thank you Angela!! 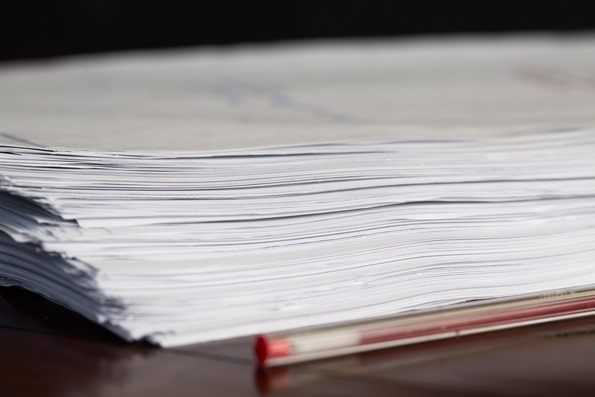 I would have given my right arm to do my first pass on PAPER. To truly see what it would all look like, oh how nice! But yes about the penmanship thing – mine has gotten horrible since I rarely use pens/pencils anymore! Congrats, Angela. You are almost there!!! Good luck with all the proofing! It’s something I would love to do one day..write a cookbook I mean. The proofing is an unavoidable hidden beneath the taste testing task! The photography looks truly beautiful. Happy Thanksgiving! Looking forward to your book! 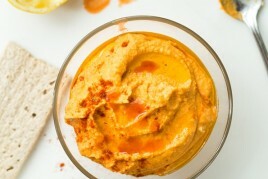 You are such a constant source of inspiration and great food photography! I wonder who’s more excited about the cookbook- your readers or you?! Thrilled for you Angela. Editing is draining but think of the wonderful result! Happy thanksgiving, thank you for sharing all these recipes. Haha Emma, I think we just might be!! It’s going to be such a marvellous cookbook. Congrats Angela :) You definitely deserve a printed book after creating this awesome blog that is so beloved the world over!! Thanks for all the recipes! I am really excited about your cookbook and good luck on all the editing! Congrats for the book, it sounds exciting! And thanks for the recipes! Have you also considered preparing an e-book? Happy thanksgiving! Just wanted to say that you are an inspiration and I cannot wait to get your new cookbook when it comes out!! Roasted Butternut Squash with Kale and Pecan Almond Parmesan is made every other week in our house and it will definitely be served this Thanksgiving weekend! Congratulations on your cookbook. I cannot wait to see it in the stores. I think I gained 5 lbs just looking at your wonderful Thanksgiving food pictures. I literally made a super-weird, unattractive “guuuuuh” noise when I saw the pumpkin gingerbead photo. It looks. So. Amazing. Huge congrats on the progress of the book :) The photos in the sneak peeks are beautiful! 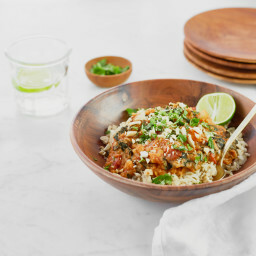 Love your Spiced Red Lentil, Kale &Tomato Soup, make it all the time! The book looks amazing Angela! Congrats on this wonderful project :) Can’t wait to see the final version! So cool about the cookbook! And I love your Thanksgiving ideas–we’ve got another month to go but you have me thinking I should start planning NOW! This is great! 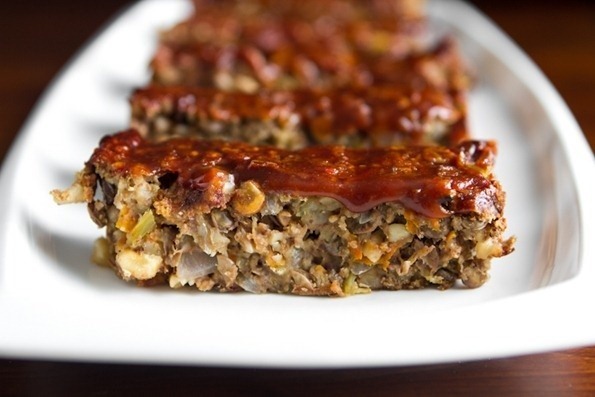 We’ve been looking for some thanksgiving dinner ideas, and it’s a good excuse to finally make that glazed lentil walnut apple loaf since there will be three vegans at my boyfriend’s family thanksgiving (us and his sister). I also can’t wait for the cookbook! To go slightly off topic, I was wondering what sort of foundation you use. I thought I recalled you mentioning sensitive skin before, and I’ve found my skin having a bit of a reaction to the stuff I get, so I just wanted to know if you’ve found some that seems gentler on sensitive skin. I almost never wear it, but I’d like to feel like I can. Hey Sarah, I don’t really have a go-to foundation yet, but I’ve been using Bare Minerals or Everyday Minerals (I have a mix of the two brands). They work pretty good, but I still think it’s too drying for my dry skin (esp in the winter). I haven’t been able to find a good liquid foundation that is free of the chemical junk and has a nice consistency and tone. Large format is the way to go, so much easier to use and enjoy. Congrats and happy thanksgiving! The cookbook is going to be so beautiful — thanks for the sneak peak, Angela and good luck sprinting to the finish line! I am so excited for you cookbook! Will all the recipes be new or are some the same as whats on your site? :) Happy Thanksgiving! Will your book be available in the UK? Would love to buy a copy. Have tried several of your recipes and loved every one if them. So tasty! Keep up the good work! That said, have a lovely Thanksgiving! You are just amazing……I can not wait for your cook book! Have a wonderful Thanksgiving filled with many fond family memories. Oh wow, that editing sounds like a lot of work. I hope you have a wonderful Thanksgiving despite all that work! I would be all for a vegan version of the Timmies sour cream glazed. A former Canadian in the states, I miss that place! Oh my goodness… your cookbook will be just Amazing. Good luck on the editing, the sneak preview looks great but I know how tough editing can be. Hi Angela! I can’t wait for your cookbook, I’ve never tried a recipe of yours that I don’t like! They’re always a hit! What is on the plate with the mashed potatoes in the one picture? So much pumpkin and so little time, I just don’t get sick of it. Wow, there’s just nothing like a large size, beautifully presented cookbook, not that there’s anything wrong with the cookbooks of old with tiny font and lists and small black illustrations, but photos bring the food to life. Glad you fought for that large size! The moment it is for sale internationally, you can bet one will be shipping to New Zealand and I’ll be tied to the house waiting for the delivery van. I have your glazed lentil walnut and apple loaf baking in the oven as we speak. 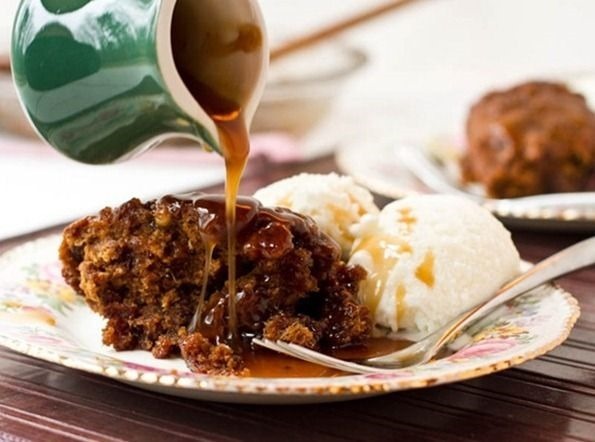 It tastes delicious and I just love the glaze, that was yummy enough on its own! Can’t wait to see your recipe book. Have pre-ordered on Amazon. A big congrats lady!! I cannot wait to get my hands on a copy of your book when it published! I hosted an early thanksgiving last weekend. I invited everyone in my boyfriends family and some of mine…we had about 25 people. My text message said dont worry there will be meat. My sister in law texts and says thats not fair to you…ill bring the turkey. Yes! So i made all the sides…and pies…vegan of course…and cashew gravy for us. Everyone ate the cashew gravy…haha. I find thats the case…they are curious what we eat so anything i bring for us always disappears. Today i made 30 of your vietnamese salad rolls to bring to a thanksgiving dinner..im sure they will disappear! My vegan cabbage rolls are always a hit. I also made a pan of roasted carrots..sweet potato caserole…white potatoes and trays of veggies and fruit. Angela you have THE best photos in your posts! You are my hero in the cooking, photography, AND recovery departments haha. I have loved your whole site for years! That is so exciting – can’t wait for the final product. I’m excited for you Angela. Your cookbook will be amazing, I just know it. & thank you for creating the Thanksgiving round-up of recipes–happy (Canadian) Thanksgiving to you! SO excited for you! And for this! Good luck and keep going! So excited for this Angela! So excited for your upcoming cookbook! Those proofs look GORGEOUS, I can’t wait to see the final product! I made Pumpkin Pie with with the Pecan crust for our Thanksgiving dinner yesterday and it was lovely, my brother-with-a-second-stomach-for-pie spewed forth many compliments. Thank you for an all the testing you did to create that delicious dessert. I’ve actually been making your recipes for ages but never comment, Happy Thanksgiving from Vancouver! I cannot wait for this cookbook! Do you know when it will be out? It looks fabulous! Thank you Brittany – it will be released march 3rd. Details linked on my book page. :) Hope this helps! I made the Lentil Loaf last year and it was a hit! Will definitely be making it again! Hi Angela, just a quick question: what camera do you use to take your photos? Any special lens or resources that you would recommend? Cheers! How exciting!! Thanks for the thanksgiving recipe roundup! Happy Thanksgiving! The pictures on the proofs looked amazing, like every thing you create, so original and different! I am so proud of you and I am only one of your bloggers, I cannot imagen the sense of accomplishment you must feel and your family must be so so proud. Cannot wait to see it all finish, congratulations! My family is still very much far from being on the vegan bandwagon – but we did have cranberry sauce ;) so excited to see the finished cookbook!!! Just came across your website about 2 weeks ago. I absolutely love it. Already started revamping my kitchen supplies based on your pantry blog. Can’t wait for your cookbook to come out. Thanks for the inspiration and motivation! Amazing can’t wait to see the finished project !! It’s good you show us how much work goes into a cookbook. I think, when looking at the gorgeous result, we tend to think it was oh so easy. 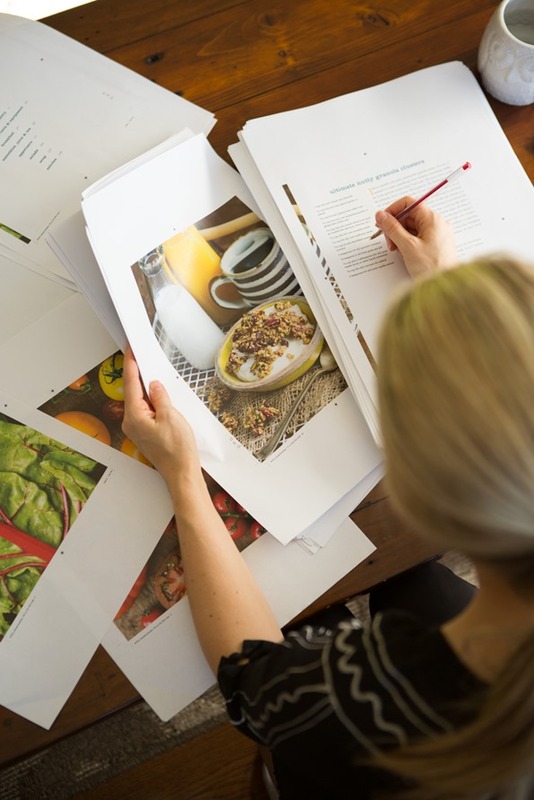 love the photos of you working on your cookbook!! I am so excited about your cookbook – and it must be so exciting to be in the editing stages, congratulations! I can’t wait – and know of a few people who will be receiving copies as gifts once it is published. Good luck with the rest of the process! Thank you Heather! :) Yes very exciting to be editing. It’s actually a lot more fun than I thought! Oh how exciting and inspirational! Congratulations on your book! Such a gorgeous accomplishment. Thanksgiving is when I discovered your incredible website as I was searching for vegan recipes for the most important of Canadian feasts! A co-worker at my school in Brookville told me about your site and it has been an inspiring few years since then, as I’ve enjoyed following your adventures, recipes and photos. I cannot wait for the cookbook to come out, Angela! Congratulations on your wonderful success, and thanks for the years of excellent information and inspiration! Thank you Lesley!! Is that Brookville school off Guelph line? If so my husband went there. Small world!! Haha! Yes, that’s the school! It really is a small world….I worked there for 8 years until January 2012. There were so many parents of students there that had attended themselves. People who grew up in that area really seem to stick around into adulthood. Now that I’m at an Oakville school, I find myself missing that small-town feel of Brookville all the time. Such a gorgeous drive every morning up Guelph Line! The best to you, Angela! You’ve worked hard and truly deserve all this great success! Thank you for re-posting some delicious Thanksgiving recipes. I made the cranberry salad for a potluck and it was a huge hit. I could drink the dressing. Could it count as a smoothie?! The books looks great so far. Can’t wait for a completed hard copy! That first pic is nothing short of stunning! Good luck getting through the rest of the work but HUGE congrats for making it to the first pass! I can’t wait to get a copy! I haven’t been keeping up to date on my OSG but it’s so exciting to see that your cookbook is getting closer! Congrats! Hi Angela! I just your found blog and can’t wait to make the GF Pumpkin Pie with the Trad filling. But for some reason none of the links to the filling or to the printer page (for the full recipe) are coming up for me. The screen simply says “closed to comments”. Any way you can repost or email me? Thanks so much!! Your blog is heaven! Hi Beatie, It should be fixed now, sorry about that. Recipage had some issues last week. Thanks for all the great recipes! I plan on making the Festive Chickpea tart soon. I would also like to try making the Pumpkin Pie with Gluten-Free Pecan Crust, but when I click on the link it brings me to a blank page. Has anyone else had this problem? Hi April, It should be fixed now. Sorry about that – Recipage had some issues last week. I personally can’t wait until your cookbook comes out, I am super excited! What I can see from your photos on this post looks stunning. And I know your recipes will be incredible. I made the Pumpkin Gingerbread with Spiced Buttercream last year for the holidays and it was AH-MAY-ZING! 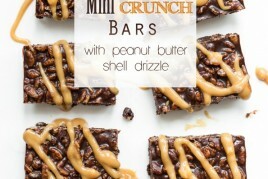 Those bars look so delicious!! I cant wait for your cookbook to come out. I can’t wait to buy your cookbook! Many of your recipes make regular appearances in our house (the broccoli cheez soup is a weekly item!) and your soft ginger cookies and pumpkin gingerbread are always top sellers at our scout event bake sales. The sneak peaks of the pics here look lovely! Congratulations! I’m so excited for you! I love turning to your recipes when I have vegan guests coming for dinner. Congrats friend. I just want to thank you Angela for all of your hard work in producing such great recipes. In February my husband was diagnosed with sugar diabetes and I decided to make changes in the way we eat. We haven’t entirely gone vegan but I am finding that your recipes work very well for cutting back on sugar and additives. It is back to the basics for us. I love how you embrace all kinds of vegetables and we are slowly but surely getting there. When I would read in your blog about drinking a green smoothie and how much you loved it, I would think that is just nuts. And speaking of nuts we sure have embraced them. I have yet to sit and eat a whole spaghetti squash by myself but I have definitely enjoyed the green smoothie in the morning. We have a huge garden and I have been smoothing everything. Thanks again for all your hard work. Hi Judy, Thank you so much for your lovely comment! I appreciate it so much. 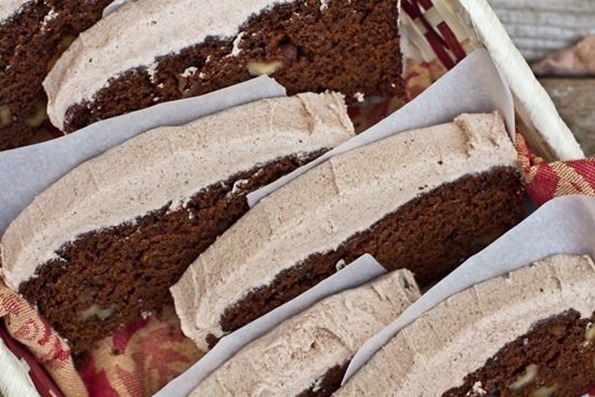 My mouth is watering at the sight of the spiced buttercream atop the pumpkin gingerbread. I need to get this book NOW! I am sitting over here dying over how beautiful the cookbook looks so far from the photos, and I cannot WAIT to get my hands on it once all is finished. 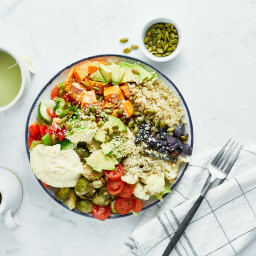 You are such a huge inspiration to me as a new-ish food blogger and new-ish vegan… sometimes I start browsing your site and get lost in all of its amazing contents. Keep up the good work, and thank you for inspiring me always :) I will be forever grateful. P.S. Happy Canadian New Year! Congratulations on your book and hope you had a great Thanksgiving! 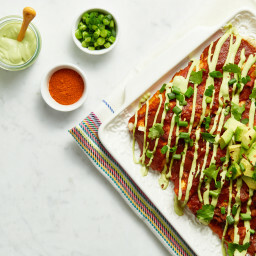 These recipes look DE-LICIOUS, can’t wait to try them! I’ve been debating leaving a comment for so long! Just wanted to let you know how thankful I am for your incredible vegan inspiration. I decided to begin a vegan lifestyle 6 months after finding this website. Without you, I would still be on an unhealthy path, getting sicker each day. These recipes have been everything to me, I make at least one of your beautiful dishes each week, you’ve been SUCH an amazing inspiration to me! So, thank you thank you thank you!! Aw thank you so much for your sweet words!! I’m sorry for the delay in replying – our internet was down this weekend. I so appreciate you reading and taking the time to leave me a note! All my best. Your book looks so beautiful. Congratuations. Can’t wait to get it. I am a bit late saying this – but many, many congratulations :) It must be so exciting to be at this stage! OMG the cookbook looks SO beautiful!!! I pre-orderd mine a few weeks ago and am already getting impatient, lol. Congrats! And thanks for the TG recipe recap as well — will definitely be pulling this out in a few weeks when American TG rolls around. I cannot wait until the book comes out! 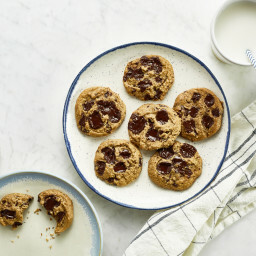 Angela, I just wanted to write to let you know that I am SO excited for your cookbook, and very much appreciate this preview of how absolutely beautiful it will be! Sending lots of encouragement and detail-oriented-strength to get through the last few editing stages – all your hard work will pay off, and be enjoyed in a physical format for years to come by so many people! 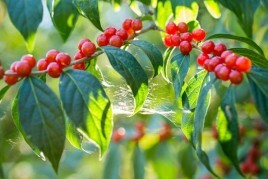 Thank you, from a fan of your blog, recipes, writing, photography, mission, and spirit. Wow, can’t wait for the cookbook. We’re getting ready for our 1st vegan Thanksgiving this year and will be preparing a few of these dishes; they sound delicious. I’ve been reading your blog for about seven months and have really enjoyed adding vegan recipes to my family’s diet thanks to you! I went on Amazon to order you cookbook today and I have to say I like the Canadian cover better than the US cover. Is there anyway to order that one? Hi Becky, Thank you for your support! You can ship the Canadian book from amazon.ca, so it’s totally up to you! Fun new song by Brandeis philosophy student who’s vegan. Who are the turkeys in our lives? Thank you Christina, I appreciate it so much! I am SO excited for your cookbook. I absolutely LOVE your blog. Thanks for sharing. Have a wonderful holiday and mine will be super yummy thanks to you!! I wish people would cook the food before leaving feedback and comments. I am struggling to find a vegan stuffing casserole for friendsgiving. .. Did you enjoy the butternut squash and Brussel one you mention here? Or have you found another that you enjoy? 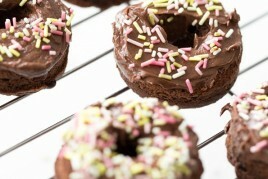 Previous post: Triple Chocolate Vegan + GF Doughnuts from Baked Doughnuts for Everyone + Giveaway!